The week leading up to a major holiday is often hectic, to say the least. Taking time to hear some great music is a good stress reducer. And with the options of the past week, I feel like I’ve been to the jazz spa. 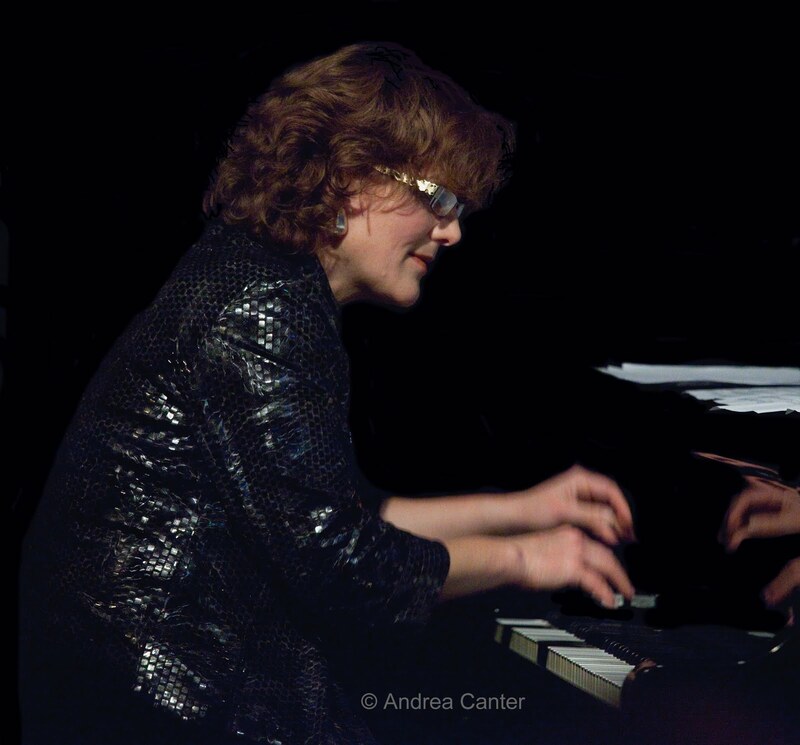 Laura Caviani Trio at the Artists Quarter, November 18. No matter how many trio gigs Laura has in a given year (and it is not nearly enough), she never puts on the same show twice. 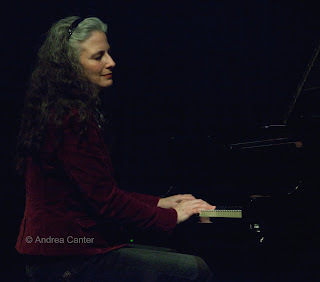 Sometimes she honors a muse, like Horace Silver, Thelonious Monk or Mary Lou Williams. Sometimes she delves into the repertoire of an under-appreciated composer like Alec Wilder. And this weekend, Laura looked back to her classical training and gave us jazz interpretations of Bach, Chopin, McDowell, Fauré and more. With a very compatible team of bassist Gary Raynor and drummer Jay Epstein, Laura also included some of her favorite jazz artists, particularly Monk, Williams and Wilder, a lovely cover of “The Very Thought of You,” and a couple of her own compositions, including her reinterpretation of Debussy’s “Gollywog’s Cakewalk” (which became “Gollywog’s Boogie Woogie”). Those of us who struggled through childhood piano lessons long enough to mangle McDowell’s “To a Wild Rose” appreciated hearing the theme as intended, and then transformed by Laura’s improvisation. 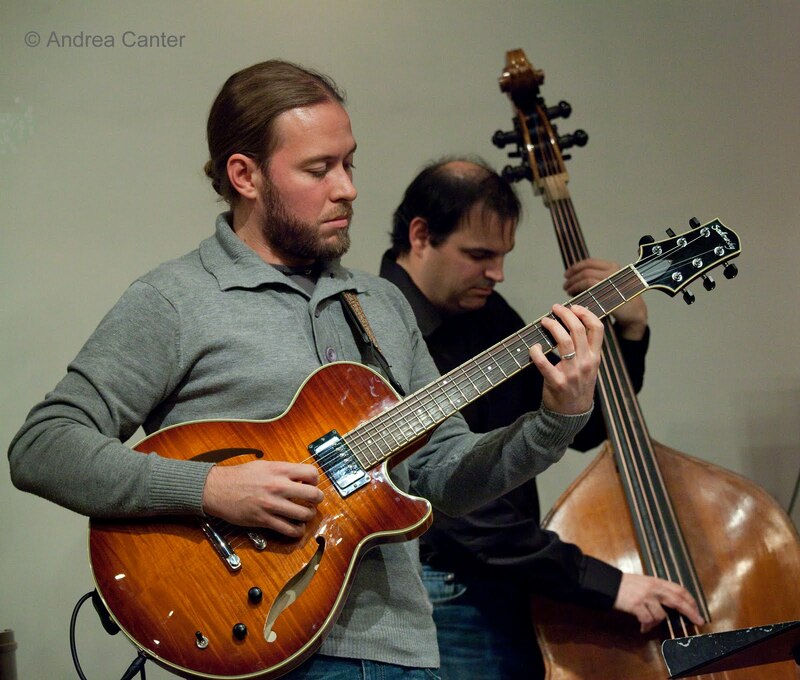 Mary Louise Knutson Trio at the Artists Quarter, November 23. Proof that trio outings from Mary Louise Knutson are much too infrequent was the standing-room only crowd on hand on Thanksgiving Eve to celebrate her new CD, In the Bubble. While the title refers to an “everything was perfect” vacation, it just as easily describes the interaction among the musicians, on CD and on stage. With masters of nuance, bassist Gordy Johnson and drummer Phil Hey, the trio created a perfect storm of music, with lustrous new arrangements of such masterpieces as “Bluesette”, “It Could Happen to You,” “That’s All” and even “You Are My Sunshine,” and “should be classic” new compositions like “Sea of Qi,” “Can You Hear Me Now” and the title track. ML also dipped back into her first recording for the playful “Merl the Pearl” and started the second set solo with her version of “Pennies From Heaven.” And you had to listen fast at times to catch all of the trio’s antics, such as the series of Ellington quotes in Jobim’s “So Danco Samba” and Gordy Johnson’s nod to Stevie Wonder while “In the Bubble.” I know a lot more whizzed by my ears. If you missed this one, or just want more, the trio will hold their Minneapolis release party at the Dakota on November 30th .